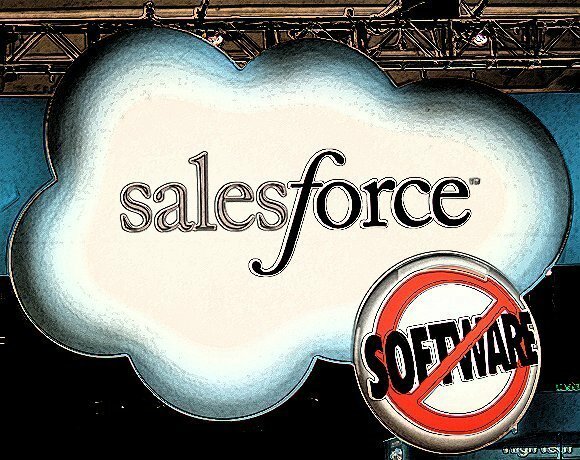 Software as a service (SaaS) company Salesforce.com recently celebrated its 15th birthday. We look at its strategy and the impact on corporate IT. Salesforce.com is arguably the company that has redefined enterprise software as an on-demand multi-tenanted application. It is also at the forefront of a category of application dubbed systems of engagement, designed to help organisations deliver a digital customer experience strategy. The company started at the height of the dotcom boom, where there was a lot of hype around application service providers. It targeted end user departments directly, offering an online customer relationship management via pay-per-use licensing, circumventing the arduous and costly rollouts associated with on-premise CRM. According to Steve Garnett, EMEA chairman of Salesforce.com, the company did not want to join the band of service providers delivering traditional applications over the internet, as was the case in the application service provider (ASP) business. "We were seeing what was going on with eBay, Amazon and Yahoo and we saw it would transform the business world," said Garnett. Salesforce.com realised that putting traditional applications on the internet would not work, because the approach was not scalable. "When Google builds its products, they are multi-tenanted to support millions of users. ASPs just took existing software and this doesn’t work," Garnett added. "Amazon was the trigger. Why can’t business apps be like the consumer world." That said, Salesforce.com is built on top of an Oracle database infrastructure rather than open-source technology, which is generally the preferred choice for internet companies. While this gives it the reliability of an enterprise class RDBMS, and access to hardware acceleration through Oracle Exadata, there is a very real cost. In fact, in its 2013 annual report, the company referred specifically to Oracle and the hardware Salesforce.com runs on: "This hardware and software may not continue to be available at reasonable prices or on commercially reasonable terms, or at all. Any loss of the right to use any of this hardware or software could significantly increase our expenses and otherwise result in delays in the provisioning of our service until equivalent technology is either developed by us, or, if available, is identified, obtained through purchase or license and integrated into our service." Total revenue for 2013 was $3.050bn, 35% more than in 2012 ($2.267bn), but the company posted an operating loss of $110m, having spent $1.6bn on sales and marketing activities. Garnett said the company was experiencing 41% growth in Europe. "Our customers are getting massive success and are buying more from us." Europe accounted for 17% of the company’s revenue in 2013. Salesforce.com develops two to three releases of the product a year. Garnett claims the releases help customers improve sales effectiveness, CRM and marketing. But, the downside of these regular updates is how to take the users to the next release. 15 years ago we sold to departments because they were frustrated by IT. Most IT departments now look at the need to connect to customers in a whole new innovative way. With traditional enterprise software, each update was a major undertaking, requiring transformational programmes and change management strategies. It is not the same with internet-based Saas. Garnett said: "We don’t change. Everyone uses the same release of Salesforce." Computer Weekly recently interviewed International Rescue Committee CIO David Goodman, who felt cloud applications were somewhat restrictive, especially in the context of an NGO. The elegance of having a single application that is run by all customers can start to look a bit rough if it is used in situations outside the scope of its design. Garnett disagrees. He said Salesforce.com can be customised. "Look at our customers from BMW, Phillips and Vodafone and they all customise Salesforce." The architecture stores user customisations in meta data, which means they do not get over written when a new update to Salesforce.com is rolled out. He said: "In the old world, a business needed Capgemini or Accenture to coalesce changes that the customer made with those made by the supplier. I’ve never heard of a Salesforce.com customer say I can’t customise it enough." Administrators can switch on new features, but users are still running the same software, Garnett explained. Arguably, Salesforce.com is much more than a CRM application. Among other things, through Force.com, it is also a platform. "There are 2000 apps on the app exchange – covering all sorts of things we don’t do and a couple of thousand apps on Force.com," said Garnett. When analyst Forrester looked at Salesforce.com, as part of its recent report titled Which Public Cloud Platforms Offer The Right Configuration Controls? it found that certain features of a Paas infrastructure were missing. For instance, the database management system is not user configurable. Unlike a full Paas like AWS, users cannot configure load balancing, virtual LANs or storage volumes on Salesforce.com, the Forrester report noted. Garnett says Salesforce.com’s pricing model means it has to continually innovate. "Not only have we innovated on the technology, since we deliver a service, customers can switch us off. The pricing model means that when they use a little more, they pay more, and if they use less, they pay less. This is why we are very focused on customer success." It is a pricing model that seems transparent, and is the basis of the pay per use licensing model that makes Saas so attractive. But in a research paper published in September 2013, analyst Gartner gave Salesforce.com a "cautious" rating, in terms of its pricing. The main area of risk for users is around the portfolio of products now available through Salesforce.com’s Saas infrastructure, according to Gartner. "The model is becoming more complex because the product has become more stratified, often requiring customers to subscribe to increasing numbers of modules mentioned or components [eg storage, sandboxes and premium support]," the analyst firm warned. New pricing from Salesforce.com means there is now a lower barrier to entry, but it could be more expensive for a large number applications and users, Gartner noted. Like every public company, Salesforce.com must grow to deliver shareholder value. Along with massive direct sales and marketing operations to attract new business, its existing customers are regarded as a target to upsell new services. In its 2013 annual report the company said: "Our future success depends in part on our ability to sell additional features and services, more subscriptions or enhanced editions of our service to our current customers. The rate at which our customers purchase new or enhanced services depends on a number of factors, including general economic conditions and that our customers do not react negatively to any price changes related to these additional features and services." Arguably one area of contention for the company has been its relationship with CIO because it was able to introduce software into business through the backdoor. The reference customers are almost exclusively sales and marketing people. But times are changing and Garnett does talk to CIOs. "Show me any CIO who has not got cloud on their agenda, Garnett said. "15 years ago we sold to departments because they were frustrated by IT. Most IT departments now look at the need to connect to customers in a whole new innovative way."